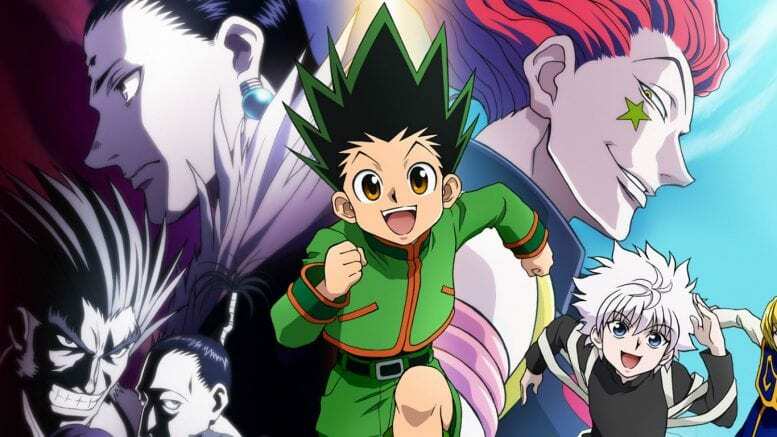 Hunter X Hunter is a show on Netflix you may not have heard of. It did not get very popular while it was included in the Netflix library; this is why Netflix got rid of it. Just recently Netflix added Hunter X Hunter back and I suggest trying it out. Hunter X Hunter is a great show with believable characters, great story, lots of funny moments, as well as some intense fights. I loved this show while it was on Netflix. I would watch it every night. I knew every theme song from every season. As you can probably tell I loved this show. When Netflix removed it from the library I was extremely sad, but now that it is back I can enjoy it once more, and I suggest you do the same before it is removed again. The story is set in a world where there are people called “Hunters.” There are different types of hunters: Blacklist Hunters are assassins and murder evil people. while Beast Hunters protect nature and endangered animals, rehabilitate deserted areas, and discover new plants and animals. There are many different types of hunters, but to become a hunter they all have to pass the same test. The Hunter Exam is an intense series of tests. A lot of these “Exams” are deadly, including deathmatches and mazes with traps. Whoever passes becomes a hunter and has access to secret information and secret areas. The main character in this story is Gon, a prodigal child who wants to become a Hunter because his father was one. Gon makes a couple of friends who also are taking the Hunter Exam. These friends include Killua, Leorio, and Kurapika. Each character has their own quirks, backstory, and connections that make the story flow well and more enjoyable. Each season has a different story arc so it never gets old. This is a good strategy to keep people interested because Hunter X Hunter doesn’t drag the main story on for multiple seasons by adding unnecessary scenes and making moments take longer than necessary like many other shows. Instead of doing this, Hunter X Hunter has a completely different story in each season with the same characters, getting rid of the boredom of watching a single fight take 5 episodes, a trend which may have frustrated fans of other shows, such as Naruto.